The 25th Anniversary of Danzig Tour featuring former Misfits band mate Doyle Von Frankenstein has moved to Riot Fest on Sept. 13. Originally slated for Aug. 16 at Congress Theater in Chicago, ongoing renovations caused the cancellation of the show. Rather than disappoint his Chicago and Midwestern fans, he’s slated to perform an extended set to celebrate his 25 years of writing, recording and touring; the performance will include a Misfits set (with Doyle Von Frankenstein) as well as songs from his acclaimed career performing as Danzig. 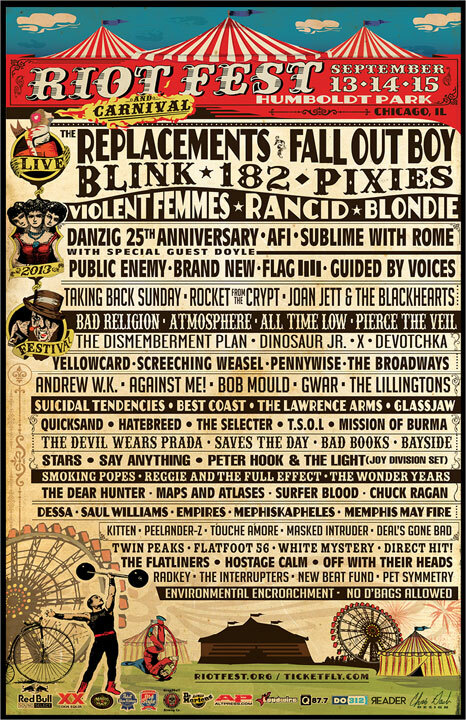 Tickets for the Aug. 16 performance will be refunded at point of purchase, and tickets for Riot Fest are still available at www.riotfest.org. 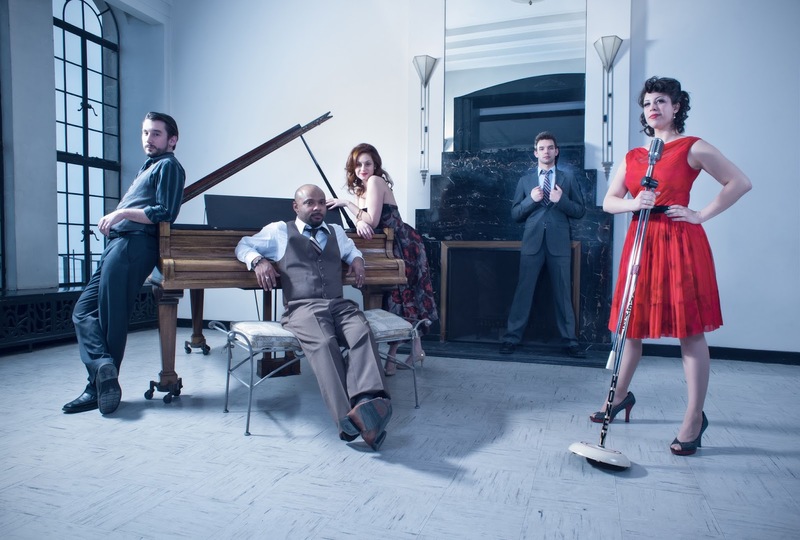 Honey & the 45s is one of the most innovative bands on the Chicago music scene today. The band's sound is filled with splashes of blues, soul, Americana, jazz, rock and funk, all which combine to create a refreshingly unique sound. 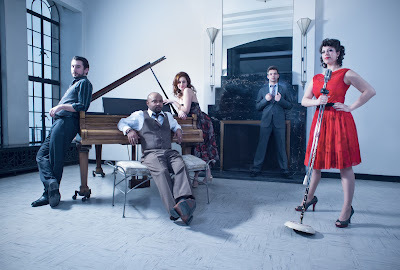 Honey & the 45s, www.honeyandthe45s.com, will perform Aug. 25 at the House of Blues, 329 N. Dearborn St., Chicago. Felix & Lyons, AudioBakery, The Bishops Daredevil Stunt Club and Haley & Michaels also are on the bill. The show starts at 7 p.m. and tickets are $10 in advance, $12 at the door, available by going to www.livenation.com. I had the chance to talk to singer/guitarist and founding member Kristina Cottone about the band's current activities. Q - Honey & the 45s has been described as a blues/soul ensemble, but there is so much more to your music. Has it been hard to get your music out to people because you do have such a unique sound? What has the band being doing to connect with its fans? It hasn’t been easy to “define” our music, but that’s OK – it’s part of the appeal. We love to experiment, and we are comfortable and proud to be putting out music that has roots in a lot of genres: a music that salutes the oldies, but bends with a modern twist. Among the five band members our musical tastes are diverse, and that’s what contributes to our unique sound. As far as connecting with fans, we are focusing on social media, especially Facebook, Youtube and Twitter. We like posting parts of our practice sessions, cover songs and new songs in progress so fans have a sense of how our creative process works. We also have video contests where fans can show us how Honey music inspires their creative explorations. Q - There seems to be a renewed interest in soul on both the local and national music scene. Why do you think that is and how has the band tried to put its own stamp on the genre? Absolutely there is a renewed interest in soul. Why? Everything good comes back around. Why now? 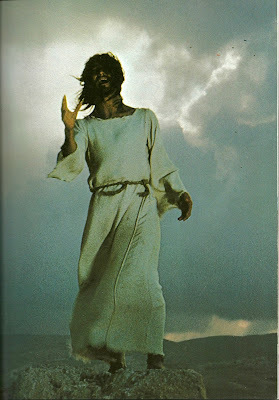 After the direction music has been going in the recent years - the auto-tuning, the pseudo-instruments, the lack of creative lyricism - listeners have been craving something meaningful, something “soul-full” that they can still groove to! Q - The band formed in October 2009 as a folk/acoustic act. How did the band get to its current incarnation? Who are the band's biggest influences and how do they figure into the band's sound? When any musical group brings on additional members, different textures and colors mix into the template. The first iteration of this was when we evolved into Honey & the 45s by adding bass and an electric lead guitar. That sound was definitely different than when we were an acoustic folk group of three. We work toward an empathetic harmony with one another, all the while knowing we each exude our own sound. Music is a language and as you include and/or expand the folks engaged in the "conversation," the very tone of that conversation will be altered. Each band member comes from a wide range of musical influences. As such our sound is somewhat unique as those influences blend and re-emerge in a new way. Who influences us the most? That’s very difficult for us to say. We are inspired by so many different genres. Actually, if you follow our Facebook page, https://www.facebook.com/pages/Honey-the-45s/251533291557232, we feature an “Artist We Admire” every Tuesday. Past artists we have featured include everyone from Regina Spektor and Tracy Chapman to The Beatles, Elvis Presley, Aerosmith, Amy Winehouse, Sam Cooke, Jeff Buckley, Aretha Franklin, Etta James…the list goes on. Just finds on Facebook. Q - How is the new EP coming along? What were your goals for the new EP? Are you trying to build on what you created with the full-length album you released last year, "The Need"? The EP we will release in September is actually five of our songs remixed from our album, "The Need." We worked with Chicago’s own Fred Breitberg to add depth and clarity to our original mixes, which we hope to push to radio in the upcoming months. We are very happy with how the new mixes turned out, and we think our listeners will enjoy hearing little things in the songs they’ve never heard before: whether it’s a new guitar line, the richness of the vocals, or the tone of the drums. We are also currently working on our second album (yet to be titled). We currently have seven songs in the works and we are hoping to release this album March or April of 2014. We will be very busy the next few months. Q - Is the band a full-time job or do the members juggle being in the band with day jobs? What are the band's short-term and long-term goals? Four of the members are juggling day jobs and the fifth member is soon-to-be juggling his senior year at the Roosevelt Music Conservatory. To be honest, it’s exhausting and we all are looking forward to the day when we can focus solely on our music, touring, and reaching more fans. Chicago has this strong tradition of being a music-friendly city. Also, the geographical location of Chicago doesn’t hurt. If it's the early Chuck Berry rock style of St. Louis or the blues riddled sound of Kansas City, Chicago seems to be a sort of musical melting pot. This certainly plays into Honey's appeal in that Chicago fans tend to be open to a wide host of sounds and feels. We feel welcome in the Midwest and couldn't be more proud to call Chicago our home. The Chicago music world is mourning the death of The Bad Examples bassist Tom "Pickles" Piekarski. A celebration of the life of Piekarski will take place August 14 at FitzGerald's, 6615 Roosevelt Road, Berwyn. The memorial will open to the public at 7 p.m. following a private service for the family. During the memorial, many of the musicians he worked with are expected to perform. 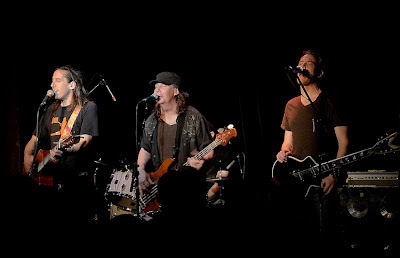 Along with being a member of The Bad Examples, Pickles, played bass (and sometimes sang) with John Prine, Famous Potatoes, Mike Jordan & The Rockamatics, Betsy & The Boneshakers, The Blue Balls, JP & The Cats, Bucky Halker, and in the studio with Ralph's World and many other artists who recorded for Waterdog Records. In accordance with Pickles' stature as the winner of FitzGerald's first Jambalaya Cookoff and his wishes for a New Orleans-style party, jambalaya will be served and guests are invited to bring food or desserts. From the very first track, Board of Governors' new EP, "Soul," surges ahead with energy. At the same time, the band's infectious hooks are likely to bury themselves deep in your head. 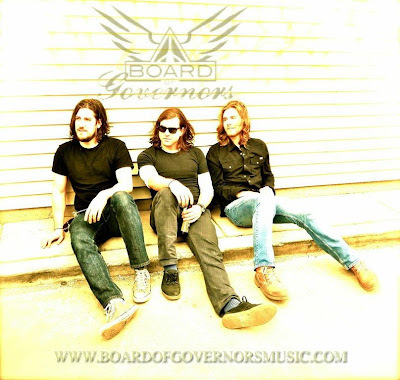 The Chicago power-rock trio, www.boardofgovernorsmusic.com, - comprised of singer/guitarist Trevor Hougardy, bassist Frey Brown and drummer John Marino - will perform Aug. 17 at Lincoln Hall, 2424 N. Lincoln Ave., Chicago. Valo, Mooner and Daysleeper also are on the bill. The show starts at 10 p.m., and tickets are $8 in advance, $10 at the door, available at www.lincolnhallchicago.com. I had the chance to talk to Hougardy about the band's new EP and its latest activities. Q - Great to talk to you. Of course, the band's latest EP, "Soul," was released in July. One of the things that I liked about the album was its diversity. It's not a one-note album by any means. What were your goals for the EP and how do you think it compares with your previous efforts? Whenever we release an EP, we are conscious of picking songs that flow nicely together in a way that will take the listener through the whole collection. Each song can stand alone with its own style, meaning, and sound, but even during the early stages of the writing process, we were thinking of ways that the songs could fit together that would result in a larger, coherent piece of work. Our older EPs were also made this way and I think accurately reflect the stage of the band at each time they were made. I think this EP shows a sense of maturity though. It's sort of a nice blend out of the harder alternative rock sound that we were doing, and into more of a polished indie/pop sound that we seem to be moving toward. Q - It seems like there should be a story behind the band's name. Is there? What does the name mean to you? Ha ha ha, we liked this name because no one else had it! Its also kind of funny when you Google "Board Of Governors" because we show up with a bunch of old guys in suits! Q - Several of the band's songs are featured in a new short film, "Invisible Fight," a film designed to give awareness to the issue of sexual assault. How did the band get involved in the project and how do you think the band's songs add to the film? We were asked by a friend of ours who was working on the film if they could use a song or two for the film. Once they started going through our catalogue, they kept coming back with more and more songs they wanted to use. In the end, they even approached me to write a specific song for the film which I was honored and excited to do, and took the opportunity to bring the piano into our sound. I think they did a great job editing our songs into the film and I'm happy to see that our songs can cover such a large range of emotions in film. Q - The Midwest, the East Coast and the West Coast are all represented in the band. How do you think that figures into the band's sound? I feel like it gives the band a sound that is very familiar, but you can't quite pin point exactly what band we sound like. Sure, there are lots of influences that come through in the sound, but I think we all make subconscious decisions in our parts that are a result of growing up listening to the bands that were in each of our areas of the country. The result is a band that doesn't quite sound like West Coast, East Coast or Midwest. Q - Band of Governors was formed in 2008, but has had a changing lineup. What do you think of the band's current incarnation? Is it closer to your original vision for the band? Yes, originally the band started with just me and John as a two piece. That was fun, and easy, but was very limiting. Our first EP was made this way and we used a synth to cover the low end. We realized we needed an actual bass player to fill out the sound the right way and give more energy to our live show. We went through a few before we landed on Geoff and he is a great fit for the three piece arrangement that we've maintained for the last two EP's. Now, much like before, we are planning to expand our sound even more and we have plans to add a second guitar player as well as a keyboard/synth/electronic person into the band. We're excited for the opportunity to add more layers to our sound, but aren't planning to change much of the foundation of the sound that we created as a three piece. Q - What do you think of the Chicago music scene and how do you think Board of Governors fits into it? Do you have any favorite venues to play? The Chicago music scene is tricky :-). I would say Chicago can be a bit tough on their musicians compared to some other cities, but like most things, if you are passionate about what you do, and aren't afraid to put in the work, you can definitely start to see results. I would love to see a bit more unity between bands here because I feel like we have all the pieces to make a great scene...great venues, talented bands, and lots of potential fans....but I feel like sometimes bands can get competitive about success and lose sight of trying to create the art that is their music. I don't know exactly where we fit into that. We've played shows ranging from House Of Blues, to Cal's Liquors, to Summerfest to triathlon packet pickups, and we always try to make relationships with the venues, or organizers, and the other bands. Ultimately, we're all doing the same thing....keeping music alive...because we all love it, and need it in our lives. Q - What advice would you give to a new band trying to get its music out there? Start doing it and don't stop. The sooner you realize you're gonna have to figure out a specific way for it to work for you, and that's gonna take time, the better. As far as Chicago goes though, start booking shows at the Elbo Room. They are a great venue that treats its musicians like family and they have everything you need to build a fan base. We are planning to expand our sound with the new musicians this fall, keep playing around Chicago and the Midwest over the winter and we are making plans to get a tour together to go play for our friends and fans down in Texas and over in Colorado, and up in Minnesota next summer! Jennifer Hall has proven time and time again that she undeniably has one of the most powerful voices on the Chicago music scene. After demonstrating her vocal prowess on her 2011 album, "In This," she recently started a Kickstarter campaign to raise funds for a new EP. I had the chance to talk to Hall about the new EP and her other current activities. Q - Congratulations on meeting your Kickstarter goal. You already have more than $7,000 in pledges, and the campaign doesn't end until Aug. 15. Was it surprising that so many people are willing to back you? It was definitely a wonderful surprise to have made our goal fairly quickly. It was sort of reassuring that people are interested in the upcoming work! Q - What was your idea in creating your Kickstarter video? Was it hard to make? Actually, the idea was developed by our bass player, Alex Sheyn, who is also a talented graphic designer (and overall creative mega force) at a firm called Bright Bright Great in Chicago. The band and I all agreed on wanting something simple where we showed what we wanted to do and did a new tune with a brief info, nothing fancy. We were hoping to just have the music do the talking! It did take a few train rides and some sweet talking of a CTA guard as he was not thrilled with us filming in the station but all and all it went pretty smoothly! We shot from 10 p.m. til 1 a.m..; six takes and lots of coffee later, we felt good about what we had. Q - It seems like a lot of independent artists are turning to Kickstarter to fund their projects. Is that the way to go these days for independent artists? What are the challenges for independent artists? Kickstarter has certainly treated us well; it is easy and straight forward and makes people getting involved in something they love a fun experience with the rewards and such. I think if you can take some tim to plan your video and concept carefully and if you feel you have a strong reach and people that will back your project, go for it! It isn't always that easy to fund projects independently so Kickstarter is a wonderful for any DIY creative. So far Kickstarter has really been a positive experience for us! Q - You released your first album, "In This," in 2011. Is this just the right time to get new music out there? Will the new EP build on what you did with your first album? Now does certainly feel like the right time to release new material. The new EP will be pretty different in style; we even wrote these songs and constructed them differently so many new directions to look forward to this time around! Q - You've released a few songs since releasing "In This," including a beautiful cover of Jeff Buckley's "I Want Someone Badly." Will that song make it on the new EP? What were your goals in covering the song? It would be great to record "I Want Someone Badly," although I don't think that will end up on this EP. Perhaps a bonus track is in order? With that song, I just wanted to do the pure passion justice; the straight forward want and need for love is what stands out when I listen to it; I was hoping to just capture the raw nature of those feelings when giving it a go. Q - "Beverly Road" and "When I Went Falling" are live acoustic songs. Doing a song acoustically really puts the spotlight on you. Do you prefer singing acoustically or with a full band? Or do you need both in your life? I do perform acoustic gigs depending on the venue/setting. It's a great time to get a feel for how a song stands on it's own feet and to see what is left when it's stripped down and naked. Then we can see if it grips people still with just voice and guitar. That said though, a full band brings such life to our music; many of our songs are certainly realized more fully with a full band. There are definitely benefits from both setups! Q - You've performed with the likes of The Lumineers. What have experiences like that taught you as a musician? Performing with The Lumineers a few years ago was great; opening for them specifically, I learned that you should always play your best and with great passion and with love for what you are doing. When they played at Villains, you could feel their love for the music they were making and their desire to share it. They cared such a great deal and were just kind people to play alongside. To see people like that succeed is so inspiring. It makes me want to continue to work hard and to stay present and passionate when making music. Q - You've been described as the love child of Neko Case and Norah Jones. Do you think that description is accurate? Who are your biggest musical influences? Well, I just love Neko Case and Norah Jones; their voices, their unique styles; It's a very kind comparison I will try hard to do right by it! Ella Fitzgerald, Rufus Wainwright, Fiona Apple; more recently, St. Vincent, Frank Ocean, Kimbra, Wilco, Bon Iver .. 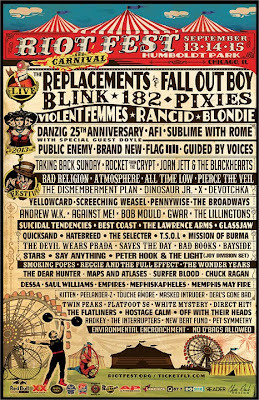 These are bands/artists that really changed what I thought music was completely and what music was supposed to be like; all of those listed were greatly inspiring; they caused me to really write differently than before and to change and musically evolve in ways I didn't know possible. Q - You've had the honor of singing the National Anthem at several Chicago Cubs games. What were you feeling the first time you stepped out onto the field? Was it a humbling experience? Oh, I was pretty nervous when I sang it the first time! It can be intimidating and scary for sure, having 35,000 people staring at you and listening to your every sound! All and all though, it's been a great time. I love being a part of that tradition in honoring the U.S. before a game, singing a tune everyone knows and connects with; I feel lucky to be a part of that! I think Chicago is just so great; I really love this city. So much variety, so many wonderful songwriters making honest, telling, interesting music. I'm not sure how I fit in but I hope I'm doing right by it.